Aston, PA (July 2013) -- As an organization committed to the imaging industry and x-ray refining, Pyromet sponsored the annual Vision Imaging National Meeting at the diamond level in May at the Scottsdale Resort and Conference Center in Arizona. The 2013 Member Meeting included a golf tournament, speaker presentations, workshops, awards and networking events that were all aimed at helping businesses within the imaging industry. With over 40 years of quality and service, Pyromet continues to be an industry leader in silver refiningand silver manufacturing. Membership with Vision Imaging focuses on the company’s x-ray refining services. Pyromet stays up-to-date on all rules and regulations that relate to x-ray refining. The company is HIPAA compliant and ensures that all x-ray jackets and reports that accompany the x-rays are destroyed to comply with HIPAA regulations. Destruction certificates as well as Business Associate Agreements can also be supplied upon request. “It is important to us to attend these conferences not only to further our own knowledge, but also to network with others and gain exposure for our business services. We are looking forward to attending several tradeshows and conferences this summer and also plan to attend the next year’s Vision Imaging National Members Meeting,” said Scott Smith. Speakers from the four day event informed attendees about trends in the radiology and imaging industry, new technology and products, the impact of healthcare reform on customers and businesses and the state of the economy and its effect on small businesses. Pyromet attended the NAID conference in Nashville, TN earlier in the year and the 37th Annual International Precious Metals Institute Conference held in Phoenix last month. For more information about Pyromet, please call 610-497-1743 or visit their website at http://www.pyromet999.com. With over 40 years of experience, Pyromet is a silver refining company and silver manufacturer based near Philadelphia, Pennsylvania. The refining business specializes in the recovery of silver from a wide variety of X-ray film products, electrical scrap, silver plating scrap and more. Pyromet also manufacturers pure sliver products such as silver anodes, rounds, bars, rods, and wire. Pyromet maintains an "Open Door Policy" and is committed to responsible environmental activity. The company is ISO 9001 certified from the International Organization for Standardization and follows all regulations set forth by HIPAA. To learn more please call Pyromet Silver Refinery at 610-497-1743 or visit http://www.pyromet999.com. 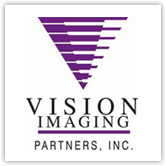 Vision Imaging Partners, Inc. was founded in 1997. Vision is an organization comprised of industry leading imaging and radiographic equipment sales and service dealers. Through a closely aligned network of world class manufactures and vendor partners, “best in class” customer service and a local business presence, members provide innovative and leading edge technology to the radiology marketplace. Vision members sell service and distribute a wide variety of diagnostic imaging equipment, information management technologies, supplies and accessories into the hospital, private practice, chiropractic and veterinary markets. These products include Radiographic, Mammography, Ultrasound, Portables, C-Arm, and Processing Equipment, DR, CR, TeleRad and PACS systems, along, with Lead Aprons, Illuminators, Barium, Contrast Media and other Consumables. For more information on Vision Imaging Partners, contact us at 330.653.8007or visit http://www.visionpartners.org.